The journey to the realization that we could – and should – offer more tasty blends that did not contain caffeine was a long one. And for that, I feel I should apologize. It started closing on a year ago, when a lovely lady who had been gifted our Tea of the Month club as a present filled out a survey. However, she also stated that she’d given up caffeine and would no longer be able to drink it. This settled into my brain as a wrongness in my personal slice of reality. If she had enjoyed the flavour as much as it seemed, I felt the need to figure out a way that I could approximate it without the caffeine. I did make a mental note to create more herbal tasty teas, and a few more came into existence over the months immediately following. 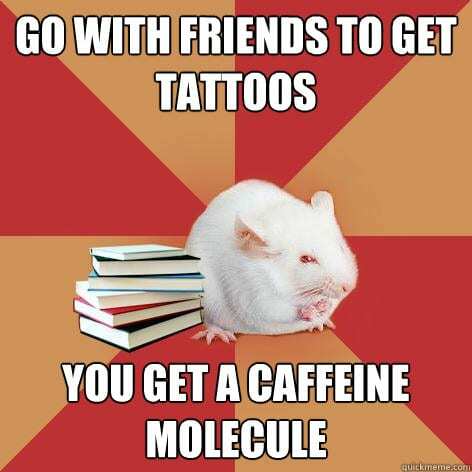 The ones who, for one reason or another, can no longer partake of the ever-popular (practically venerated) caffeine molecule. I don’t know why it hadn’t occurred to me that people could need to cease with the caffeine and yet still miss the taste of tea. 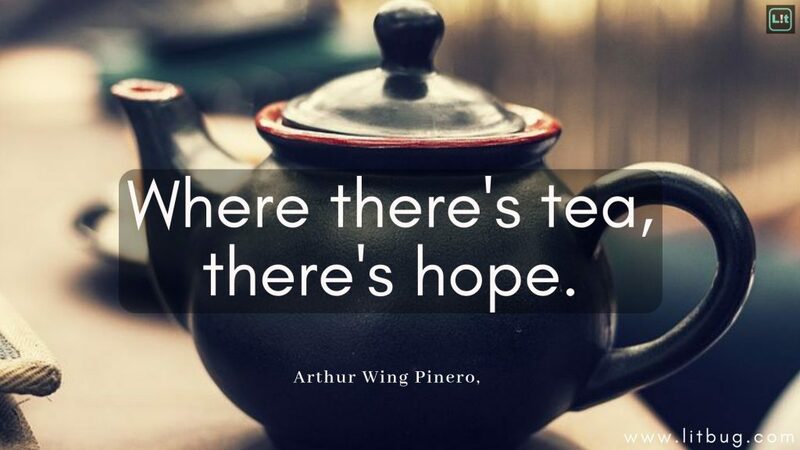 Including more-than-just-tea teas, like most of what we offer. The request sparked a research dive, and some searches through the options available from the suppliers we already use. We tried the basic decaffeinated teas that we could find – sadly, not many – and decided which options suited our ingredient protocols. We were able to find a basic green, a basic black, and an earl grey. Which was depressing and somewhat heartening, at the same time. 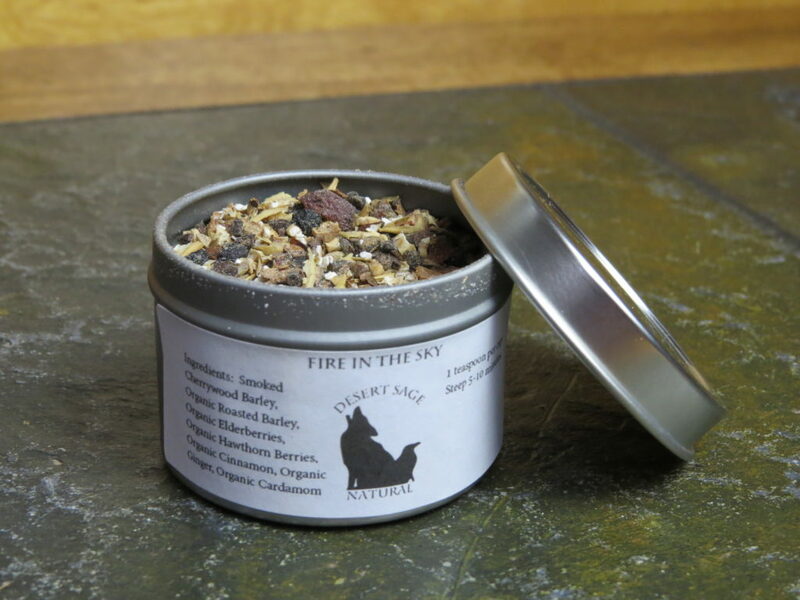 While I will continue to be quite frustrated at not having access to a decaf Lapsang 2 – it was nice to know that I would have had to go the herbal experimentation route for ‘Fire in the Sky,’ even if we had already had the decaffeinated tea eureka. The other heartening thing is that there are a large number of our teas that use a basic black, a basic green, or earl grey as a foundation. This means that, with a test of each to make sure the recipes work the same for the two variants of the foundational tea, we can make ANY of those in a decaf version. …I realized that waiting until requested wasn’t giving easy access to the teas. Since the purpose of the research and experimentation was motivated to give easy access, I’ve decided to go about this in a different way. What I am going to do is figure out the pricing on every tea that could be made with a decaf option, assuming the ratios stay the same, and make them available both on Etsy and on our personal site. To keep myself from completely drowning in work, I won’t make the labels until they have been ordered. Similarly, to keep the tea-wall from immediately overflowing onto the next available and requiring emergency furniture construction, I will not test the recipes until they have been ordered, either. I will do the testing and any needed revamping as orders come in. Those last bits are important to mention because it means there may be a slight delay on any decaffeinated teas ordered that I haven’t done these things for. But I figured a slight wait might be well worth it, just to have all the options easily available. The list of teas that we will be able to make a decaffeinated option for are: The Norn Compass*, Pie of the Tiger, Steve’s Three Alarm Zen, SereniTea: Comfort & Joy, SereniTea: Something for the Blues, Chapel’s Chai, Cooper’s Curry, Crowley’s Kiss, Currantly Nuts, Galactic Green, Godric’s Courage, Green Standard, Grey’s Secret Garden, Gysahl Green, Heart of the Blue Box, Hello Sweetie, Inara’s Evening Blend, Jenny’s Jasmine Grey, Meditation Mint, Melody Green, Melody Grey, The Mintalist, Minty Frog*, Nayru’s Knowledge, Orange You Glad It’s Chai, Ravendane Chai, Rowena’s Wit, Spindle’s Bite, Straight Up Chai, Sublime Summertime, Taliesin’s Tonic, Uhura’s Frequency*, When September Ends, Whoa-Oh Blackberry, and The Wizard’s Tower. This is ‘Wilde’s Wassail’ – one of the teas in the pipeline. Also the first where the decaffeinated version was created first. I will get this all sorted out as quickly as I can, and hope that the expanded array available to those who cannot caffeine will bring a spot of glee out there somewhere. I was especially irritated with myself for this because of Mister Tea and coffee. The entire reason we started blending coffees was because I figured, if he Had to have decaf, it should at least be interesting decaf. In his case, tea caffeine is okay in moderation, so it just… hadn’t… settled into my brain right. Unless, of course, we are someday able to act on some of our crazy dreams. One of them is having the capacity to decaffeinate teas properly, so that we could have whatever tea flavours we wanted. 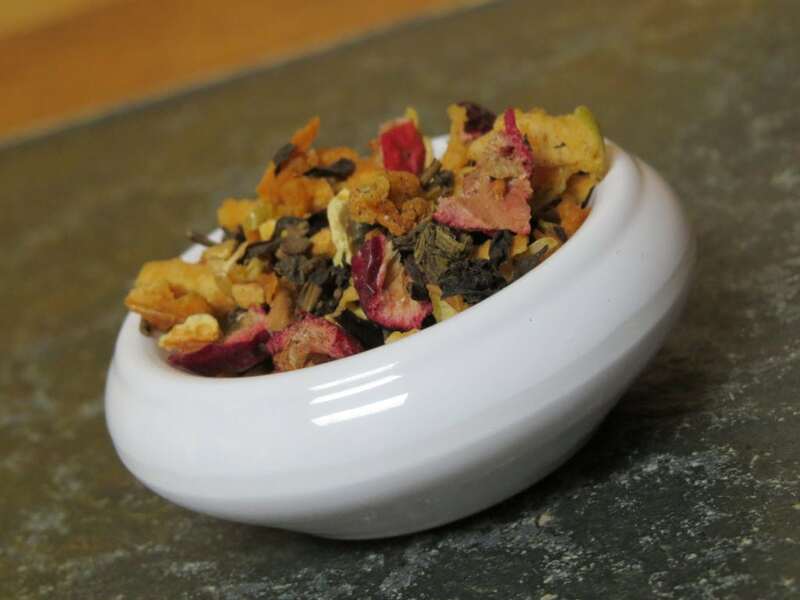 This post deals with the teas that were blended prior to our decaf realizations. The newest offerings started out with the choice of caf or decaf. These are – The Shapes of Clouds and Accio Spoons – and tomorrow Elvenguard will be added to that list. We are looking into toasting rice in-house, so that we would be able to rig a decaffeinated genmaicha. It also just seems like a nifty option to have, especially given our recent seaweed discovery. This entry was posted in Ramblings and tagged Decaffeinated Black Tea, Decaffeinated Green Tea, Decaffeinated Tea, Desert Sage Natural, Our Process by DesertSage. Bookmark the permalink. I’m a tea lover so this comes as a pleasant surprise.